One of the common misconceptions of screen printing is that it can only be used for T-Shirt printing and that there is only one way to go about Screen Printing- Well, let us dispel a few myths about screen printing and open your eyes to the huge amount of possibilities if you choose to embark on screen printed Garments. 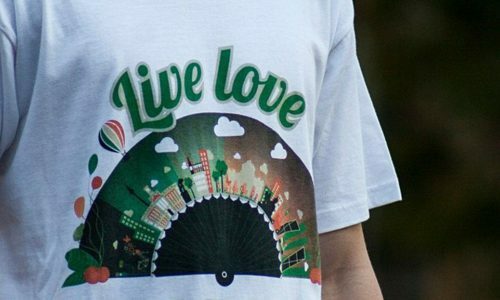 Screen Printing is one of the most popular printing techniques, and not just here at Garment Printing, it currently stands as the most popular printing technique within the printing industry and we can understand why it’s so popular. To put it simply, screen printing is a process which applies ink directly onto fabric through a specially created silk mesh screen, but that’s putting it simply, read on to find out more about this multifaceted printing technique and some of the benefits working with this technique can offer. OK. I know it sounds quite strange to focus on standard screen printing for printed T-Shirts, given the title of this article, but alas, one must understand the basics if one wants to learn more! So how does Screen Printing work exactly? First things first, we need to create the screen, artwork needs to be supplied in vector format (.ai, .eps or vector PDF), this enables us to separate the colours so that the different screens can be created for each colour. With that we come to one of the few drawbacks of screen printing: The more colours your design has, the more screens must be created and this incurs a higher set-up cost. The next step is to create the ink, which is mixed to Pantone match the colours of the brand and then this ink is applied to the screen. Squeegees are used to push ink through the mesh of the screen and onto the garment. Another great benefit of screen printing is that you can achieve an accurate Pantone colour match, so it is therefore perfect for companies who need to produce printed promotional merchandise such as printed T-Shirts with their exact brand colours. So, now you’ve got to the basics, it’s time you learned exactly why screen printing doesn’t have to be limited to printed T-Shirts. Within this incredible technique there are a multitude of different methods which are suited to a variety of different garments and fabrics. One of the screen printing techniques we offer here at Garment Printing is Plastisol Screen Printing. Plastisol inks are composed of PVC particles and are really popular amongst screen printers as they won’t dry in the screens if left for long periods of time. Where plastisol screen printing stands out is that plastisol inks tend to sit on top of the threads instead of soaking into them, giving the print a raised look. This printing technique is particularly effective when printing onto coloured garments as they offer bright, vivid colours as well as Pantone colour matching. Further benefits of plastisol screen printing is that it is an ideal option if you are looking to maintain brand colours and is also the perfect choice when wanting to carry out large print runs as we can offer highly economic price breaks. Although this technique is perfect for T-Shirt printing, why not think outside of the box and embrace this coming seasonal transition. With the winter months approaching, why not think about hoody printing! One of the main benefits of screen printing is that we can print onto a huge range of fabrics and clothing, if you can imagine it we can print it. So why not think about plastisol printing for personalised hoodies. A further screen printing technique we have available here is puff screen printing, a stand-out technique which is similar to standard screen printing, but thanks to a unique foaming agent, you can achieve a special 3D effect of your design. With this special screen printing process you can give your full design a raised effect or use it to complement another printed design to draw more attention to a specific point. This printing technique is great if you are short on time, as you can print large volumes in a short space of time. Pantone colour matching can also be achieved to keep true to brand colours. One thing to watch for however is that when carrying out this technique, it is essential that your chosen garment can withstand heat, as this is how the foaming agent within the plastisol inks works to achieve the desired effect. When you think about printed tote bags, you think about museum exhibitions and standard single coloured flat designs, right? Well, why not stand out from the crowd and created a 3D design that pops utilising puff screen printing, a sure way to turn heads! Water based screen printing is a further example of the plethora of screen printing options we have available here at Garment Printing. Corporate social responsibility (CSR) is a really important aspect of every company, so that you can cater to the needs of all clients. 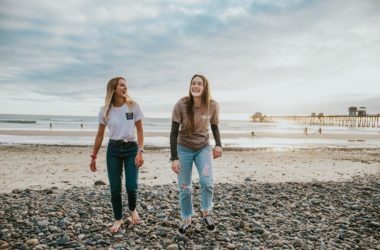 By using water based screen printing inks, we can offer a more eco-friendly printing technique which is a great option for any company wanting to create uniforms that will ultimately impact their CSR in a positive way, as well as achieving a crisp, professional design which their employees will wear with pride. 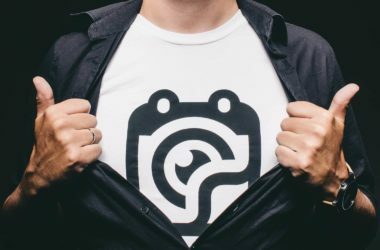 So for a more eco-friendly investment, why not think water-based screen printing for corporate clothing, a sure way for your staff to stand out from the crowd.